After the experience of completing the Colorado Trail in it's traditional direction we chose to ride it again in 2017, but this time from Durango to Denver. In the 11 days that we were on trail, Mother Nature put on quite a show. Amazing riding and even more amazing views under ethereal skies made for the trip of a lifetime! 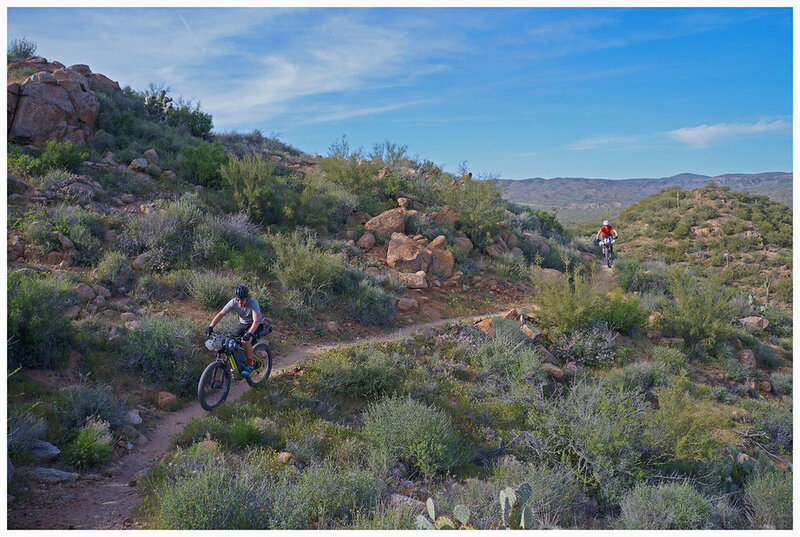 The Black Canyon Trail resides in Arizona and provides a perfect escape from the cold mountains of Colorado during the winter months. In August of 2016 we departed on the Colorado Trail, from Denver to Durango. What transpired over the next 12 days will forever be ingrained in our souls as the most amazing trip, ever. Click on the image to the left to read about our adventure! At the end of July 2016, our friends Eric and Donna departed on the Colorado Trial, but from Durango to Denver. Click on the image to the left to be visually stunned and read about their experience!